It has a triple-A credit rating and an O-Train, but Ottawa could soon become a "Bee City." The city's environment committee voted Tuesday to ask staff to get busy on a bid to add Ottawa to the list of Canadian municipalities that are officially friendly to the fuzzy, flying insects. Coun. Catherine McKenney put forward the motion Tuesday, and it was seconded by Coun. Keith Egli. According to Bee City Canada's website, participating communities must commit to creating, maintaining and/or improving pollinator habitat, educating the community about the importance of pollinators, and celebrating pollinators during international pollinator week or other times. The motion passed Tuesday directs staff to look into what it'll take to comply with the Bee City program, analyze specific actions and budget requirements, and bring a report to the environment committee no later than the end of the first quarter of 2019 on whether or not to pursue it. Toronto was named Ontario's first Bee City in 2016, and was soon followed by Stratford, Kawartha Lakes, St. Catharines, Whitby, Kitchener, Waterloo, Niagara Falls, Newmarket and Ajax. Guelph became the 19th and most recent inductee into the program earlier this summer. The push for Ottawa to earn its stripes comes three weeks after city corporate services employee Dinah Robinson, who keeps bees in her spare time and plans to sell honey, created an online petition calling on Ottawa to become a Bee City. 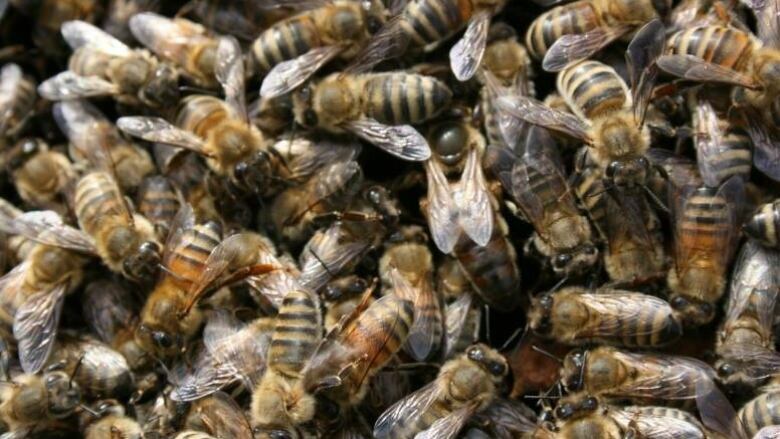 The petition also asks for the city to "take the sting out of urban beekeeping" by "recognizing that urban beekeeping is an important part of the city's food security strategy," and ​"increasing pollinator gardens and the maintenance of existing greenspaces," among other things. The petition had about 1,170 signatures as of early Tuesday afternoon. Robinson's petition said she would co-ordinate the project and that "no funding will be required from the city."